"PRESTIGE LADY" 110' Westship World Yacht built in 2006. 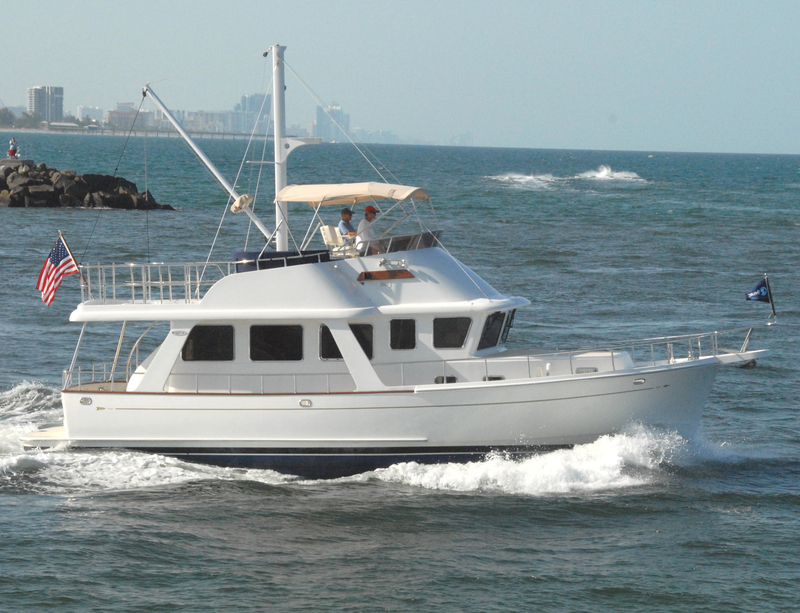 Massively built in fiberglass in Tampa, Florida and designed by Evan Marshall, PRESTIGE LADY was built to Lloyds and ABS classifications. She is powered by MTU 16V2000 Series diesels and has a top speed of 25 knots. Her accommodations provides a massive full width master suite and three comfortable guest staterooms and crew quarters. BANYAN" 102' Palmer Johnson. 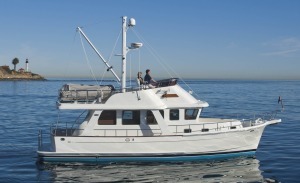 Designed by the reknowned design firm of Sparkman & Stephens this classic vessel with the benefit of being recently refit. She has been repowered with economical C-18 Caterpillar diesels. Other major upgrades include Zero Speed Stabilizers, top of the line audio visual equipment and LED lighting throughout. We hope you will come and inspect this charming and classic vessel. MISS LISA 92' Citadel 2010. 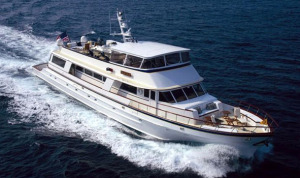 Her massively built in steel with 4,000 mile range, MISS LISA is a true world explorer with a truly astounding fit and finish coupled with a breathtaking interior designed by Joe Artese in the finest Anigre woods. She is the only vessel in her class that has a full width master forward (on deck) along with a full beam country kitchen and main salon all on the main deck. SEA FEVER 90' McQueen 2002. Totally custom built for a seasoned yachtsman who wanted a sea kindly and comfortable long range cruiser. Her Ed Monk design was tank tested and her engineering systems were carefully worked out to provide a totally unique offshore passagemaker. She is unique in that she is shoal draft yet has crossed the Atlantic and features one of the most stunning interiors that we have seen in a vessel in her class. She is most aggressively priced and must be seen. QUALITY TIME 78' Marlow 2009. The newest 78 Marlow to be offered for sale, QUALITY TIME has unusually low time on her machinery and systems. The CAT C32 Acert engines provide a top speed of 29 knots and a comfortable cruise at 22 - 24 knots. Her accommodations provide for 4 Owners/guests staterooms plus separate cruise quarters aft for two. This will be the first time she will be offered for sale at a boat show. MANY WATERS" 62' Offshore 2013. 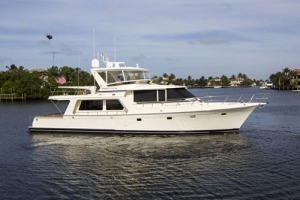 Her William Crealock design has proven itself in all types of cruising environments, whether briskly moving in a planing mode of efficiently traveling at displacement speeds. 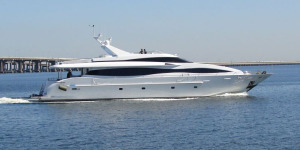 She offers the advantage of being able to step aboard a recently commissioned near new yacht that has been "broken in" by a very knowledgeable owner. She has just a little over 300 original hours on her Caterpillar C12's and is offered at far below her replacement value. 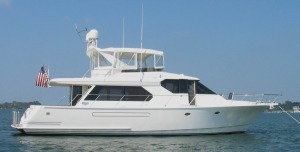 TURTLE II 58' Westbay Sonship 2001. 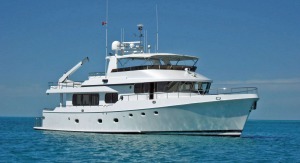 Beautifully built in the Northwest a classic design provides spacious accommodations for six, large engine room and superb performance. TURTLE II has been maintained by a meticulous owner and she greatly exceeds the standard of most motor yachts of her vintage. If you haven't been on a Westbay you owe it to yourself to come aboard TURTLE II. NEW SELENE 42 EUROPA 2015. She was the fourth boat built to this design and must be seen to be truly appreciated. Designed and built for extended passagemaking. Her John Deer 180 HP diesel provides a range of greater than 2,500 miles. She was massively built with water tight bulkheads, to CU class B certification. Her interior is beautifully finished in teak and provides for two comfortable staterooms and a very impressive main salon. She is priced far below the competition. 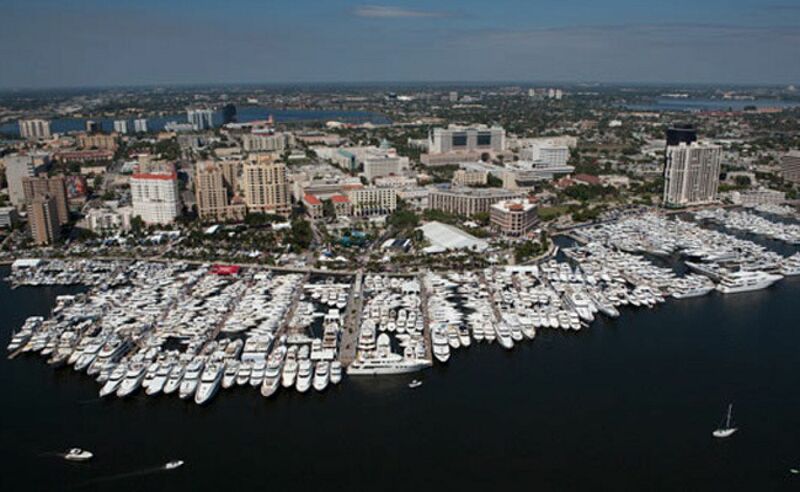 We have virtual tours available on all the vessels that will be featured at the Palm Beach Boat Show. Please contact us if you would like us to forward a virtual tour, arrange for a private inspection or post boat show sea trial.